My LensCulture review Received, NYC, Aug 2018! In July 2018, I entered the contest of Lens Culture’s Art Photography Awards, Fine Art Series Category, and submitted ten images of my project titled Discover the Power of SuperConsiousness, that involved my ten photographs of my fine art images. I Received a Submission Review! Everyone who enters with 5+ photos is eligible to get written feedback from an industry professional about their submission! For a related series of 10 photos reviewed as one entry. Submission should work together as a group, thematically or aesthetically. A group International Jury of photography experts based in NYC selects the best photos from all over the world. 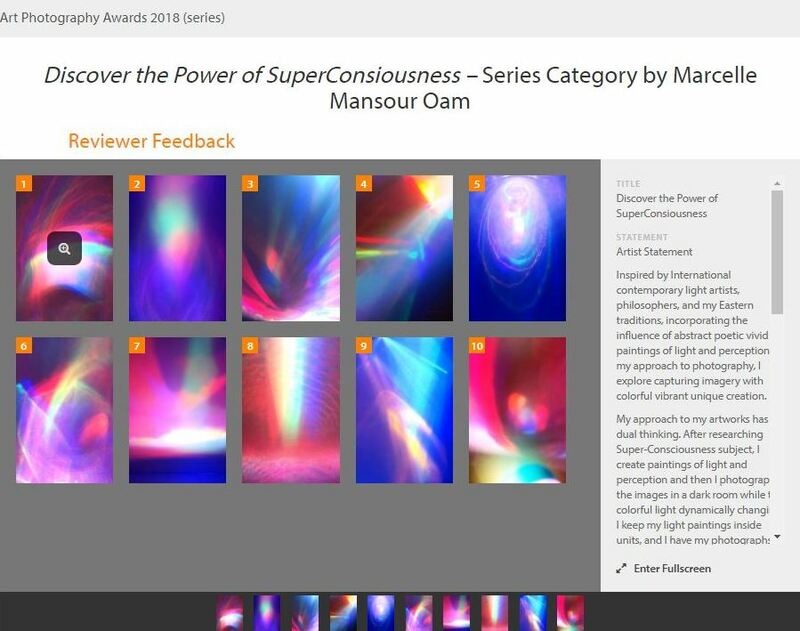 I am delighted that my artworks had the opportunity of the exposure to the academic insightful criticism from trusted and qualified industry professionals. Really I enjoyed reading the meaningful feedback, and the professional constructive critique of an expert reviewer with many thanks. I am sharing the review that I received as they promised. Thanks for the great review and valuable suggestions once again. Here are the photographs of my light art paintings, and the Submission Review!